Many of the settlement’s earliest residents and businesses were attracted from the community of Fate, after the railroad bypassed the nearby city. The first business, a general merchandise store, opened in December 1885 and was followed soon after by a variety of businesses, some of which were pulled on rollers by ox teams from Fate. Located in the heart of the Blackland Cotton Belt, Royse City thrived with considerable business in marketing, cotton trading, cottonseed oil manufacturing, and cotton ginning until the early 20th century. Unfortunately, the Great Depression was hard on Royse City’s economy, and synthetic fiber technology began replacing cotton products, which threw the local industry into a spin. While 54 businesses still operated in the town in 1936, the aftermath of World War II caused many families to move to Dallas for work, and Royse City businesses declined. In 2000, Royse City’s population hovered around 3,000. In the 17 years since, the town has experienced tremendous growth while retaining its small town feel. Development along the Interstate 30 corridor exploded as this ‘sleeper’ community remains a favorite destination in the area. In recent years, the population has expanded to approximately 12,000 residents, and the school district has grown to 4-A status. Still a small town, Royse City is greatly impacted by the rapid growth of the Dallas-Fort Worth Metroplex and Rockwall County because of its central location along the interstate between Rockwall and Greenville. With a bright and industrious vision, the Royse City Community Development Corporation ushered in several major chain stores, restaurants and retailers. Low unemployment rates hold firm with manufacturing, construction, and retail remaining top industries for employment in Royse City, and now a fast-growing medical community is starting to take root. Recently, the Royse City Independent School District, the city and Ventura Sports Group agreed to partner on a new $12 million multi-purpose sports stadium that will have capacity for 4,000 people. It will be completed in spring 2019 with the debut of the Royse City Griffins, an independent team in the Southwest League of Professional Baseball. Much of the historic architecture of the old downtown still exists by the railroad, and now, Main Street boasts a vibrant and vintage atmosphere. The many businesses include retail boutiques, salons, a coffee lounge with live music, restaurants and a microbrewery. With rapid growth in the area, plans are in the works to build a courtyard near the center of old downtown to host live entertainment events and a farmers’ market. The Royse City Main Street Program keeps a full schedule of annual events to keep the downtown Main Street district bustling. The annual Old Town Block Party features live entertainment in the spring, while the car show highlights vintage vehicles in the summer. Thousands turn out every year for the downtown FunFest, trick-or-treat, and pumpkin patch. Of course, the holiday season is not complete until the Holiday Tree Lighting with Santa—and Christmas parade in December. Throughout the years, Royse City has continued to be a cozy, small town with friendly folks. It is totally wholesome, but modernly vintage—Americana at its best. 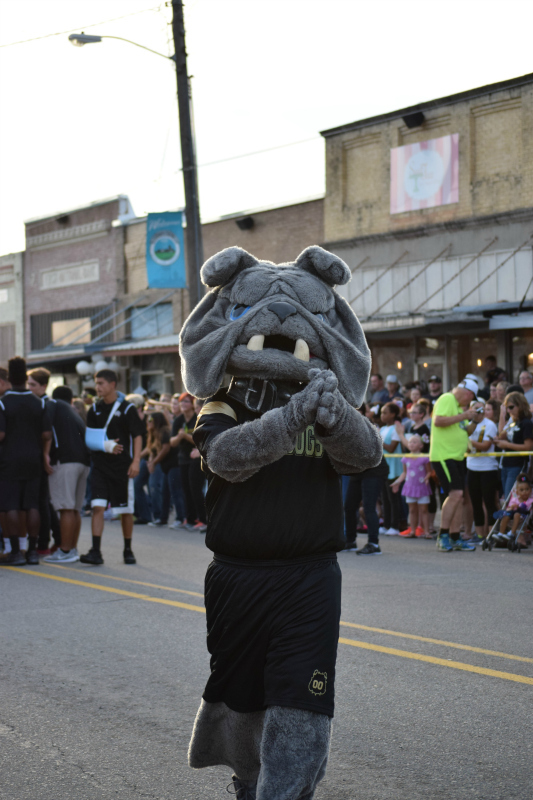 The Royse City Main Street Program keeps a full schedule of annual events to keep the downtown Main Street district bustling.